The Vice-president of Somaliland Hon Abdirahman Abdilahi Ismail 'Sayli' has stressed the importance of the Somaliland diaspora to the state since independence, and has urged them to continue their involvement, in order to improve the future economic developments of Somaliland. 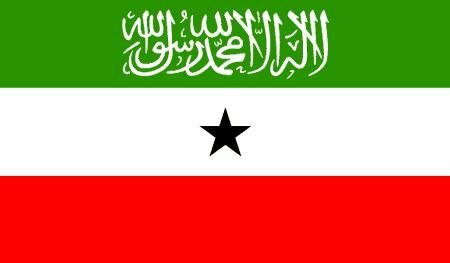 Somalilanders in the Diaspora are the backbone of the country as it pertains to economic and social development. This was said by the Vice president Hon Abdirahman Abdilahi Ismail 'Sayli' at Ambassador Hotel in Hargeisa where he officially opened a two days Somaliland Diaspora Conference. This conference themed "Diaspora Investment in Somaliland" is the second to be held in the country following the establishment of the diaspora coordination office. VP Sayli told participants that while the diaspora has played a major part in Social and economic development, it is imperative that that they invest more of their hard won money in the country's commercial sector thus help create employment opportunities that are scarce. "Since we reclaimed our independence 21 years ago the diaspora has been the backbone of the country" said the VP. According to the Director of the Diaspora coordination Agency Mr. Mahmoud Abdirahman Ali, the last 100 days have resulted in enhanced communication at all levels between the government and the diaspora. The diaspora agency director informed that the 2 days conference that aims to come up with strategizes for the country's diaspora in nation building, will also facilitate closer interaction and cooperation. Government officials present included the minister of Commerce and industry Hon Abdirazak Khalif, Minister of Health Dr Hussein Muhumed Hoog, Minister of public works Hon Ahmed Habsade, Minister of Justice Hon Hussein Ahmed Aideed and Presidency minister Hon Hirsi Ali H Hasan while a large number of SL-diaspora and ordinary citizens was visibly in attendance. Q- Why is the government charging the exorbitant Embarkation and disembarkation fees at the airports and why not reduces the amount? Minister Hirsi- This figure has been said to be too much or too little and for information one of our airport consultants from Britain claims that it is one of the lowest charged in world. The funds collected from incoming and outgoing passengers are only used to develop our airports which any of you who travelled through either Berbera or Egal will attest to the improvements made thanks to this fee collection. The presidency minister informed the participants that due to the unrecognized status of the country, the central government relies on taxes collected for its annual budget.